in the West Siberia with its own interesting history and traditions. 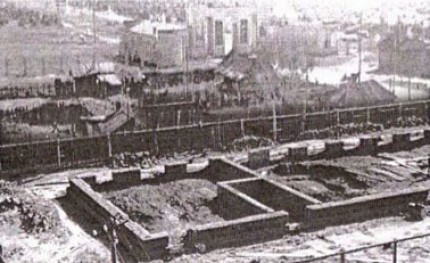 The factory’s history began in April, 1970. 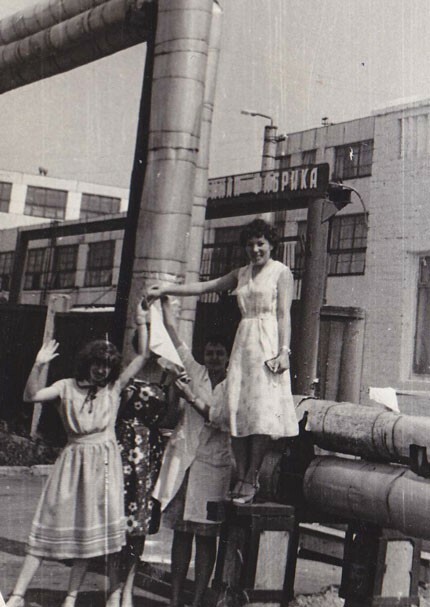 In April 1970, after three years of construction, the Omsk Pasta Factory was put into operation and registered with the Ministry of Food Industry as a state enterprise. In 1973-1989, the production lines of long pasta were renewed twice, the production lines of short-cut pasta products were modernized, and an automatic machine was installed to package the products into colorful cut-boxes with the weight of 500 g. For that time it was a progressive production: the factory had a one-story structure. The plant produced 36 tons of products per day. In the 90s, the factory was born for the second time - another reconstruction was carried out and modern high-tech Swiss equipment was installed. This equipment is used in more than 30 developed countries, including the USA, Germany, France and Italy. The entire technological process - from the flour and water dosing to packaging of the finished products - is fully automated. In January, 1991, the production of the long-tube pasta was begun (vermicelli, noodles, pasta). In 1995, an Italian filling machine was installed, which allowed to pack products into polypropylene film in accordance with the best world standards. 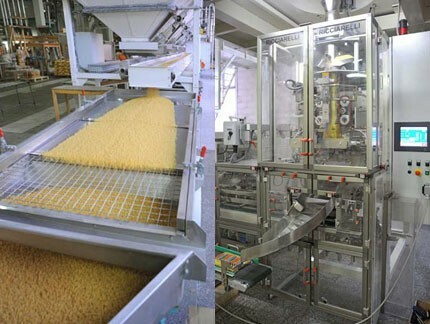 In 1998, the Swiss equipment for the production of short-cut pasta (more than 15 types) was installed. The new line fundamentally influenced the quality of the finished products. Since that time pasta, produced at the Omsk Pasta Factory, has met the world standards. 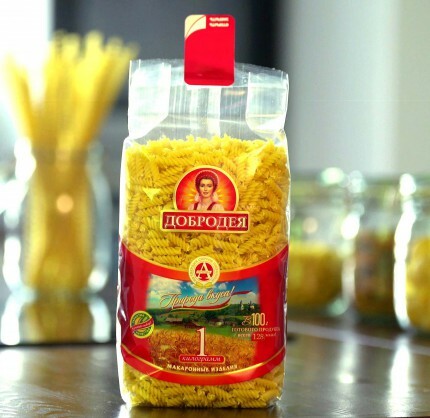 The most important stage in the history of the Omsk Pasta Factory was the trademark Dobrodeya, developed in 1998. The Russian girl in the sun of wheat ears, symbolizing the good of the earth (this is how the word "Dobrodeya" is translated from Greek), has been remembered and loved all over Russia, from Moscow to the Far East, and also in the countries of the former Soviet Union and non-CIS countries. The pasta products of this trademark can set wits to theItalian pasta, known all over the world due to their taste qualities because they are made from durum wheat. "Dobrodeya" is the translucent pasta of attractive golden color having the excellent consumer properties. April, 1999 was an event significant for the entire Russia. Omsk Pasta Factory hold the workshop for all the major Russian companies producing pasta. On the example of the Omsk Pasta Factory the world's best Swiss equipment for the pasta production was presented. This date was the starting point for the installation of the high-tech equipment throughout Russia. 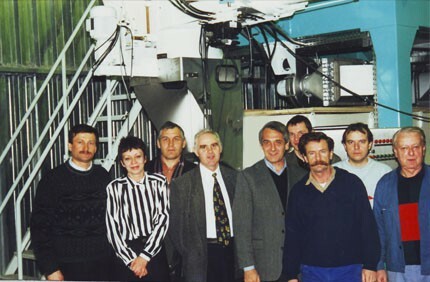 In 2003, another serious stage of the technical re-equipment of the factory has begun: the second production line for the short-cut pasta was purchased and installed. The fundamentally new press "Polymatik" provides a high-speed dough kneading just in 20 seconds. Already in February, 2004, the first products were received from the new equipment. The line launching made it possible not only to expand the range of products by 13 items, but also to improve the quality of products due to use of the latest technological solutions in production. 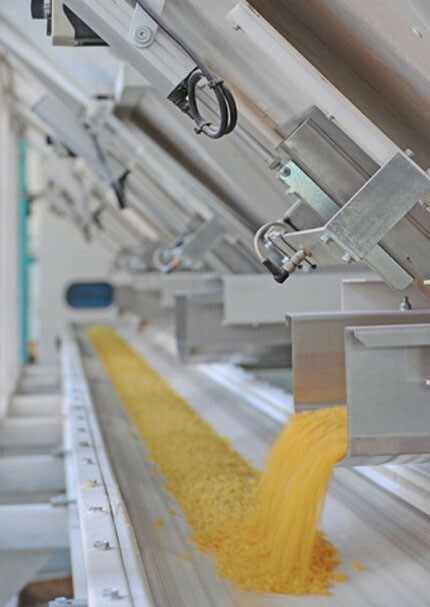 In 2004, the “cutting-and-molding machine" was purchased and installed for the production of complex pasta: "Farfalle" and "Lumakonirigati" that are very popular among the consumers. In December, 2008, a new high-speed Italian filling machine was installed that allowed to increase performance by 2.5 times. Its feature consists of the formation of a "brick" package with a flat bottom and a sticker "Open here" that is convenient for exposition in the trading room, storage and use in everyday life. Omsk Pasta Factory began to produce not only Dobrodeyapasta, but also Dobrodeya flour. Flour is produced on its own mill complex and has excellent baking properties. The flour color is white with a golden tint. The finished products are fluffy, porous and fragrant. The release of Dobrodeyapasta is regulated by the international requirements of HACCP. HACCP is a food safety management system that provides control at absolutely all stages of the food chain, at any point in the production process, as well as during the storage and sale of products. 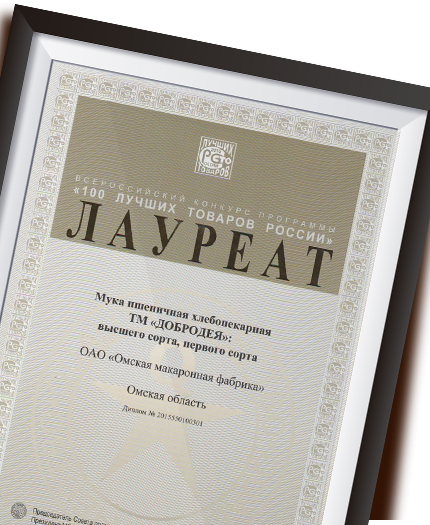 Omsk Pasta Factory has received the HACCP CERTIFICATE OF CONFORMITY. The Dobrodeya pasta meets the requirements of the European Parliament and the Council of Europe. 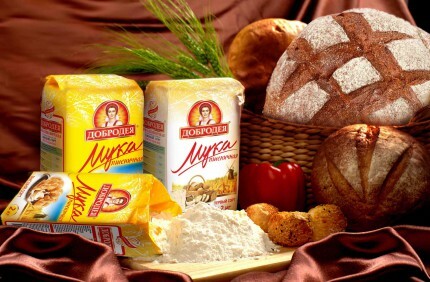 According to the results of the All-Russian competition "100 best goods of Russia" the high-grade and first-grade Dobrodeya flour was awarded the highest award - the Golden Laureate title. In 2017, a new Italian automated machineRicharelli was installed to pack the short-cut pasta with a weight of 900 grams and 1 kg. New convenient packaging BRICK with flat bottom and sticker "Open/close" has been developed according to the latest European trends. The pack takes up minimum space on the shelf, includes 2 times more products and is easy to use.